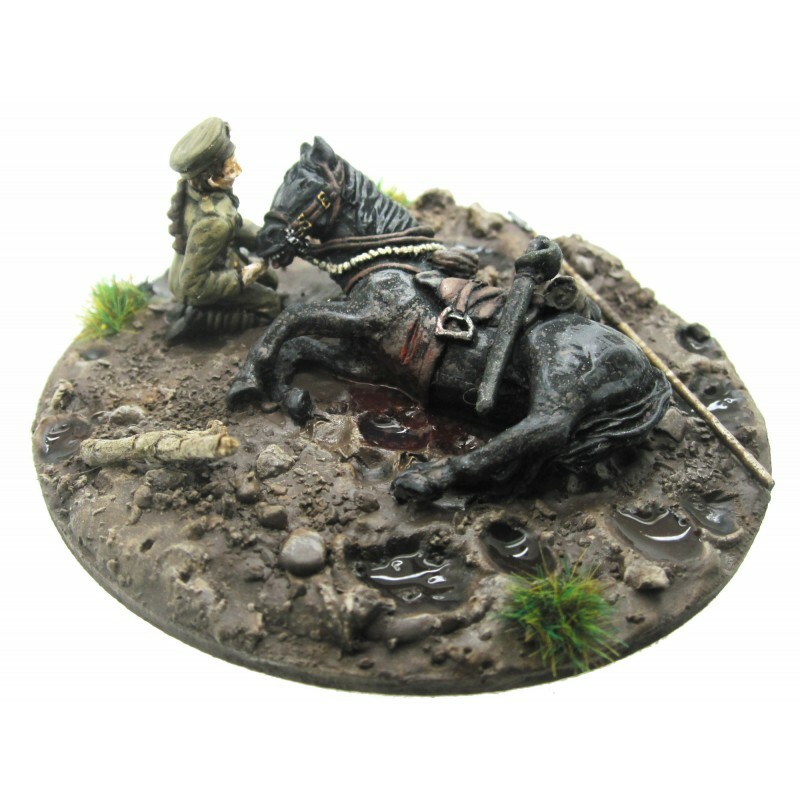 Steve Barber launches a British range in 28mm for the ww1 and the first reference is a lancer whose mount is dead or close to. There are some further interesting sculpts/unit being worked on now for the British range. Same with the Germans and French. Advancing and skirmishing poses.